This innovative book tells the fascinating tale of the long histories of violence, punishment, and the human body, and how they are all connected. Taking the decline of violence and the transformation of punishment as its guiding themes, the book highlights key dynamics of historical and social change, and charts how a refinement and civilizing of manners, and new forms of celebration and festival, accompanied the decline of violence. Pieter Spierenburg, a leading figure in historical criminology, skillfully extends his view over three continents, back to the middle ages and even beyond to the Stone Age. Ranging along the way from murder to etiquette, from social control to popular culture, from religion to death, and from honor to prisons, every chapter creatively uses the theories of Norbert Elias, while also engaging with the work of Foucault and Durkheim. 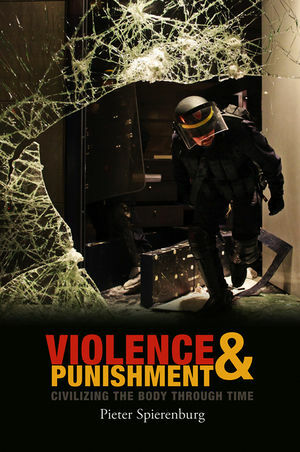 The scope and rigor of the analysis will strongly interest scholars of criminology, history, and sociology, while the accessible style and the intriguing stories on which the book builds will appeal to anyone interested in the history of violence and punishment in civilization. PIETER SPIERENBURG is Professor of Historical Criminology at Erasmus University Rotterdam, The Netherlands. He is the author of A History of Murder: Personal Violence in Europe from the Middle Ages to the Present (Polity, 2008).